Never paint your bollards again! For around the same price as powder coated models, you can install hot dip galvanised steel bollards fitted with Skinz bollard covers reducing the need for paint and future maintenance costs. 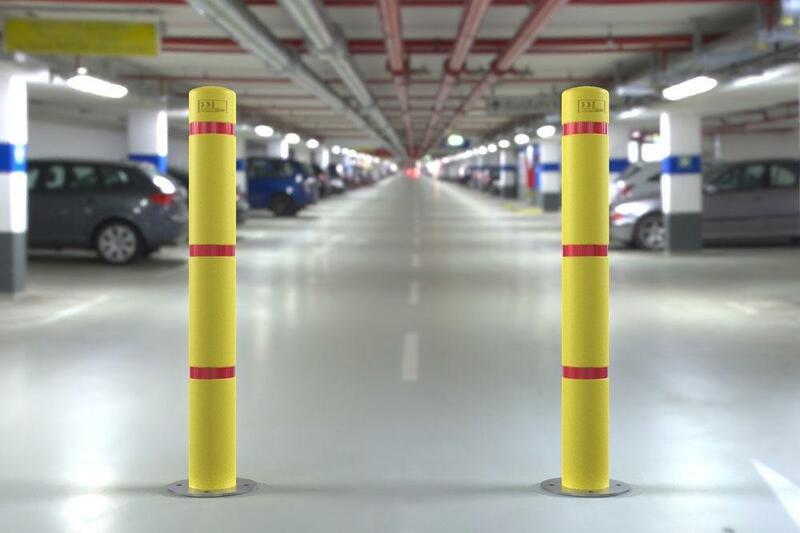 Bollards fitted with plastic sleeves are ideal for congested car parks as they can reduce the impact damage caused to vehicles and bollards when they come into contact with each other. Likewise in shopping centres, maintenance to damaged bollards caused by shopping trolleys can be virtually eliminated. 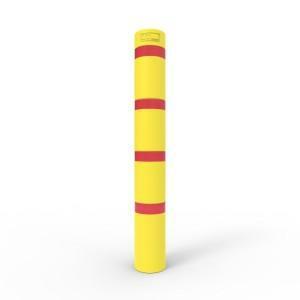 Skinz sleeves have three grooves designed into the bollard cover that allows reflective tape to lay flush against the sleeve, greatly reducing the chances of the tape peeling. Learn more about retrofitting them onto existing bollards. Note: All dimensions in mm. Finish: Hot Dip Galvanised (HDG) and Polyethylene Skinz (PS). *Refers to the diameter of the actual bollard. Skinz sleeve may add up to 20mm in dia. If I have a galvanised only bollard, and I use stainless steel ring kits, does this have some effect (chemical) to gal and s/s material ?